Many things can be said about dental implants. it is one of the most effective and common methods to replace missing teeth. And with as medicine and technology advancing huge steps every day, dental implants keeps evolving each day as well. This means that in the future dental implants will be more accessible to many patients around the world. Good news to helping them to have a beautiful smile forever. When we think about dental implants we think of an using an artificial root made from titanium and a crown to top it, giving the look of a natural tooth and working as fine as one. These dental crowns are usually made from porcelain, metal or zircon to substitute a missing tooth. It is important that the material of the crown is very resistant and durable. But Of course this is not all. It is very important that the patient follows all the dentist instructions for the aftercare to make the recovery period nice and easy. That is why we are going to help you with a few tips to ensure you don’t suffer at all during this process and make your implants to last forever. Many patients believe that just because dental implants are an artificial tooth they can just leave them be without any brushing or care. The truth is that even if they are made from synthetic materials it doesn’t mean that they are indestructible. On the contrary you should always take care of them as you would with your natural teeth. As we stated above you have to treat your implants like your natural teeth. This means that it is important that you brush them at least twice a day to maintain a good dental hygiene routine. Make sure you use a good comfy toothbrush to keep them clean and white as pearls. Another pro tip is to use adequate brushing techniques. Avoid being too aggressive so your crowns also last long enough. To clean those spot in the mouth that the toothbrush can’t it is necessary to use dental floss. That way you will get rid of the food debris that get often stuck between the teeth. That way you avoid building bacteria and plaque which can cause cavities and gingivitis. The same can be applied to use of mouth wash. It is astonishing the number of patient that ignore this awesome dental product, Using mouthwash after brushing and flossing can help to prevent bad breath and gingivitis. If you want to conserve your dental implants forever you should consider having mouthwash and dental floss in your home. To keep the crowns of your dental implants in top condition always you have to remember all the tips stated above. Also avoid bad habits that can affect and harm them. Avoid drinking too much coffee and soda in will help to prevent your teeth and crown to stain pretty badly. Also avoiding cigarettes will help you to take good care of your implants. Especially during the recovery process after the surgery. Last but not least, you should visit your dentist frequently to checkups and cleaning. 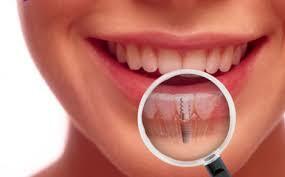 There is a chance that you are interested in getting dental implants at low prices but high quality. Make sure to give us a call or send us a email at Dental Solutions in Los Algodones Mexico.